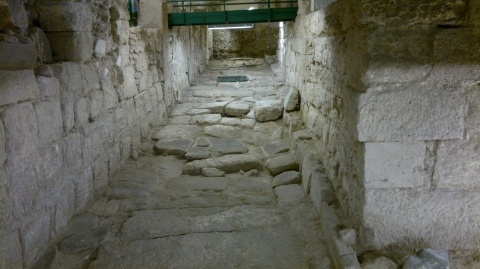 The Sant'Eulalia underground archaeological complex covers around 900 mt2, and lies in the heart of the Marina district, an ancient medieval quarter in the east of the ancient city of Cagliari. The site is one of the main urban archaeological areas open to the public in Sardinia, and comprises a large space beneath the parish church of Sant'Eulalia, as well as important items visibile in the nearby church of Santo Sepolcro. Twenty years of almost uninterrupted excavations and research have opened up the past lives of this district near Cagliari's port, and shed light on the entire city's urban history from Roman times to the present day. A visit to the remains involves journeyng forward and backward in time, and to best illustrate different phases of 2 millennia of history, selected items from the vast quantity of objects discovered during archaeological research are displayed nearby. Texts by: Soprintendenza Archeologica per le province di Cagliari e Oristano. Università degli Studi di Cagliari, Dipartimento di Scienze Archeologiche e Storico-Artistiche.